To readers Academician M.K. Gorshkov – Honored Doctor of the Southern Federal Univer-sity. Abstract. The paper investigates specificity of the impact of the of non-economic factors on the socio-economic development of society on the bases of the fact that any socio-historical reality develops as a result of the interaction of economic and non-economic factors. The article shows that the global economic crisis of 2008-2009, the consequences of which have got new development due to the sharp fluctuations in the oil and financial markets in 2014, demonstrated the importance of non-economic factors in the system of anti-crisis measures and ability to hold economic stability and restore economic growth. We study the im-pact on the socio-economic development of the following non-economic factors: physical and geographical; innovational and technological; psychological; institu-tional, political and others. The conclusions are illustrated by the results of the researchconducted in October - November 2014, in which the complex mechan-ism of interaction of economic and non-economic factors becomes empirically visible, and proven not to be characterized only by straight links and impacts of the economic factors on the non-economic ones. Abstract. The paper characterizes (reveals the specificity) of such a unique phenomenon of social consciousness and social practice as an "effective manager". A brief historical overview of the emergence and evolution of the concept of an manager and effective manager is presented. The author determines their ty-pology, based on the characteristics of their functioning in the field of economics, politics, culture. A critical analysis of features of their activities, as well as their working methods is carried. Particular attention is paid to the social impact of the activities of effective managers, and the fact that Russia suffered many losses as a result of their abuse of objective processes of social development, which has led to the fact that the period of their greatest "prosperity" has received the name of "dashing 90-ies". Key words: social consciousness, manager, phantoms, liberalism. reforms, power, adventurism, corruption, property. Abstract. 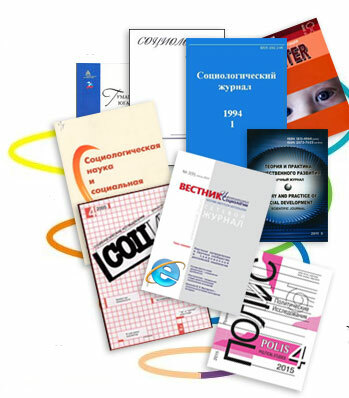 The paper analyzes the social figures and authoritative-administrative apparatus of modern Russian society, provides an overview of contemporary social figures - the elimination of the distinction between manipul-ative and non- manipulative social relations. It is noted that all the figures in the performance of roles do not discuss the problem of the foundations of their own social status. The following types of social figures are analyzed: indebted, Media dependent, supervised, represented. It is concluded that in the current Russian there is a "shadow theater" instead of elite, and the composition of the ruling mi-nority is vague and biased towards political consultants and officials. Abstract. Article is devoted to the study of the features of middle class in the Rostov region. Work is based on results of social research which was con-structed on tools and the methodology developed by scientists of Institute of so-ciology of Russian Academy of Sciences during implementation of the large-scale project "Middle class in modern Russia: 10 years later". Key words: middle class, stratification, Rostov region, social well-being, consumption, behavioral installations. Abstract. The work contains the analyses of the role of axiological stereo-types maintaining sustainable development of Russian society. Identification of this potential of axiological stereotypes is based on a study of three variables: 1) fixing their social role in group relations; 2) social significance in terms of their functional orientation; 3) accentuation of the value of social stereotypes. This problem are solved in the context of achieving a common goal of establishing of values of homogeneity in the Russian society. Key words: axiological stereotypes, integration, identity, social values, so-cial norms, social roles, stability, stereotyping. MASTERING OF CONSOLIDATING VALUES AS A CONTINUA-TION OF THE "NEO-CONSERVATIVE REVOLUTION" IN RUSSIA. Abstract. The article describes the increasing role and the possibility of designing a system of consolidating values for the entire Russian society. It dis-cusses the process of restoring a holistic structure of "person - state" relations. This means that the population and society, defined as Russian citizens, after making their choice, independently and voluntarily, should admit Russia as a state and gradually accept it as a value. The multinational and multi-confessional Russian society has the demand for creation and replenishment of a new effective set of consolidating values got from the analysis of the modern time development experience of the state. The article shows the necessity of certain unification of the values, which is to be determined by the strengthening of neo-conservative trends in Russian mentality. Abstract. The paper attempts to estimate the potential of the research of images and schemes of Russian nationalism used in the American tradition. The author concludes that the substantive research efforts are based on the justifica-tion of the irrationality of Russian nationalism, and its development is interpreted in opposition "imperial - ethnic". In this sense, the American research tradition does not reflect the multiplicity of nationalism in Russian society and is unable to adequately assess the potential political influence of Russian nationalism in the context of contemporary social and political processes. Keywords: Russian nationalism, state-ism, imperial nationalism, ethnic nationalism, statelessness, social irrationality, images of nationalism. Abstract. The article is devoted to the 290th anniversary of the birth of the great philosopher Immanuel Kant, who determined the intellectual climate of Eu-rope, as he formulated the supreme principle of morality in the form of the cate-gorical imperative that has become a kind of philosophical and moral dogma. But in the Russian religious philosophy some cautious attitude towards the teaching of Kant's ethics has developed. That was due, above all, a kind of interpretation of the essence of the Christian religion. The author's intention was to consider whether those critics of Kant who believed that he gave the Christian religion "caricature" form are right. Key words: modern, moral philosophy, the categorical imperative, reli-gious and moral consciousness, rational experience, speculation, spiritual perfect love. Abstract. The article is devoted to the study of xenophobia as an effective technology for the creation of an "enemy image", which is used in modern infor-mation warfare. Based on constructivist approach in understanding xenophobia, the authors interpret it as a way of constructing the image of the "other" that al-lows different political forces to use xenophobia in the informational construction of social reality for its own influence and lobbying of its interests in the world. Key words: xenophobia, the image of the enemy, information technology, information warfare, Russophobia, Islam-phobia, outcast States. Abstract. The article investigates the problem of the interaction of educa-tion and religious values in the space of European and Russian cultures. The au-thors examine such issues as the specificity of modern education in the context of cultural values; the ratio of education and traditional cultural values; the specifici-ty of the interaction of religion, science and education in Western culture. The conclusion about the necessity of theological education in high school is made. The problems of theology, education and science in the context of spiritual and national security are discussed. Key words: religion, science, education, culture, spiritual security, theology, tradition. Abstract. Modern science is moving towards integration of the individual disciplines, finding its integrity. The paper attempts to include political science concept of Limitrophe into geo-economic research. The author examines the theoretical approaches to understanding of «limitrophe state» allocating basic fea-tures of modern limitrophe formations in the former Soviet geopolitical space. On the example of post-Soviet Ukraine the author analyzes the economic develop-ment of «imitrophe state» model. Key words: limitrophe state, geo-economics, geopolitical economy, inter-disciplinary research, the economic limitrophe state model. Abstract. The following text deals with the topic of Silesian families and their cultural traditions. Its main point is that the most decisive factor that lead to important changes was the social-economical transformation that took place in Poland in the '90. This idea was brought about by observing and analysing the changes in the social and cultural activities that occured in Poland in the last decade of the previous century. Key words: Silesian families, cultural traditions, social and economical transformation in Poland. Abstract. This article discusses the characteristics of the domestic juri-sprudence, analyzes the root causes and manifestations of the crisis of modern ju-risprudence. The author suggests ways of overcoming the stagnation in the juri-sprudence based on the improvement of philosophical and methodological ap-proaches to the analysis of state-legal phenomena and to develop a common state-legal doctrine. Key words: Legislation crisis jurisprudence, the methodology of jurispru-dence, legal mentality, law, legal traditions, sense of justice, subject and method of legal science, the causes of the crisis of legal science, the manifestations of cri-sis of jurisprudence, legal practice. Abstract. The article provides a description of the scientific heritage of academician Y.A. Polyakov – prominent Soviet and Russian researcher in twen-tieth century. Particular attention is paid to the role of Y.A. Polyakov in the de-velopment of the humanities in the North Caucasus, scientific training, work as a member of the editorial board and responsible editor of the third volume of "His-tory of the North Caucasus." The significance of ideas and scientific-organizational experience of Y.A. Polyakov in modern Caucasus studies is re-vealed. Key words: regional history, politics, the North Caucasus, Caucasus stu-dies, scientific relationships, academic science, scientific ethics. Abstract. The article analyzes the specificity of research in the field of phi-losophy and sociology on the basis of defended dissertation researches on the philo-sophical and sociological sciences in Southern Russia. A detailed overview of the defended dissertations and doctoral theses in the relevant areas of scientific know-ledge is provided. The author identifies innovative approaches implemented in their respective studies. It is concluded that the predictive capability of humanities allows to look into the future and build theoretical constructs on the basis of identified trends in the present, which under certain conditions can become a reality. Key words: dissertation council, dissertation, doctoral dissertation, philo-sophical and sociological sciences, specialty, concept, methodology. HOW YOU SHOULD NOT WRITE A THESIS, OR WHY IT IS NE-CESSARY TO DEVELOP THE CONCEPTION OF THESIS. Abstract. The thesis is not an essay on a given topic, it is an independent scientific research aimed at getting a new scientific knowledge. Development of the concept of thesis research as a project of scientific research makes it efficient and provides a high theoretical level of the obtained results. Abstract. Roundtable was organized by the journal "Humanities of the South of Russia" in connection with the release of two fundamental monographs "Kaukaz Północny: elity, reżimy, etnopolityka, bezpieczeństwo" / red. nauk. T. Bodio. Warszawa: Instytut Nauk Politycznych Uniwersytetu Warszawskiego, 2014. 365 p. and "Kaukaz Północny: elity władzy i życie Polityczne" / Red. nauk. T. Bodio. Warszawa: Instytut Nauk Politycznych Uniwersytetu Warszawskiego, 2014. 431 p. on the results of the implementation of the Polish-Russian project. It became a notable event in the Caucasian studies and studies of elites. The big role in its implementation belongs to the Institute of Political Science at Warsaw Uni-versity and the Institute of Sociology and Regional studies of Southern Federal University. Publication of monographs was held on the eve of 100 anniversary of the SFU. ГУМАНИТАРИЙ ЮГА РОССИИ 244 Some of the participants of the round table, that took part in correspon-dence discussion on the elites of Caucasus and prospects for cooperation between universities in Poland and the South of Russia: Professor Tadeusz Bodio (project manager), Andrzej Versbitsky, Jacek Zalesny (Institute of Political Science, Uni-versity of Warsaw), Andrzej Jan Hodubsky, Przemyslaw Seradzan (Institute of Political Science, University Mr. . Gdansk), Associate Professor E.J. Bazhenov, Professors A.V. Lubsky and V.V. Chernous (Institute of Sociology and Regional studies SFU), Professor A.M. Starostin (South-Russian Institute of Management), Professor WH Akayev (Comprehensive Research Institute, Grozny). Results of the round table show a significant, but still not enough full use of the constructive potential of modern Polish-Russian cooperation in the study of problems of the Caucasus and southern Russia.